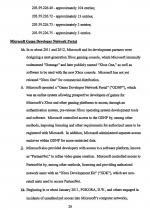 APRIL 10--A group of alleged hackers has been charged with breaking into the computer systems of the U.S Army, Microsoft, and several other firms to steal pre-release copies of popular video games like “Call of Duty,” simulation software for Apache attack helicopter pilots, and confidential data that was used to create counterfeit versions of the Xbox gaming system, The Smoking Gun has learned. 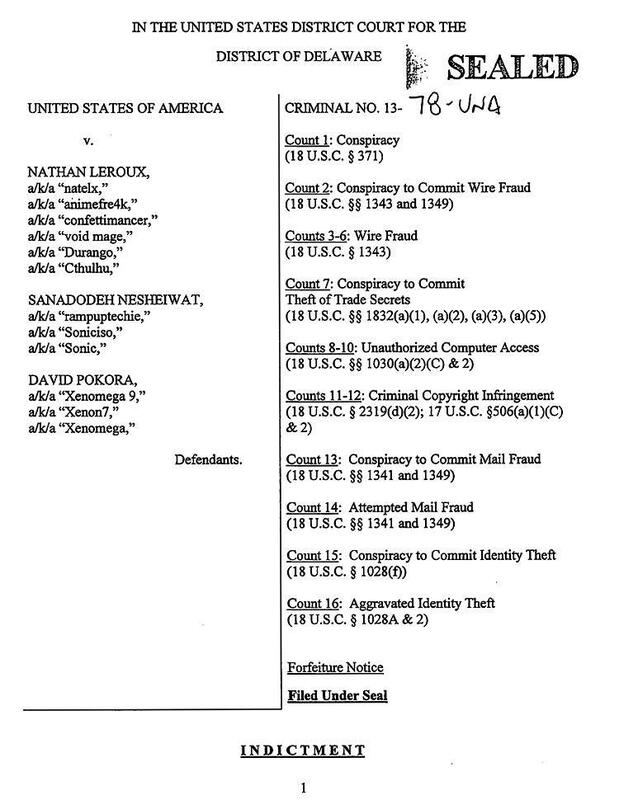 Three men have been named in a sealed federal indictment charging them each with 15 felony counts, including conspiracy, fraud, and computer hacking, according to a copy of the 54-page document obtained by TSG. 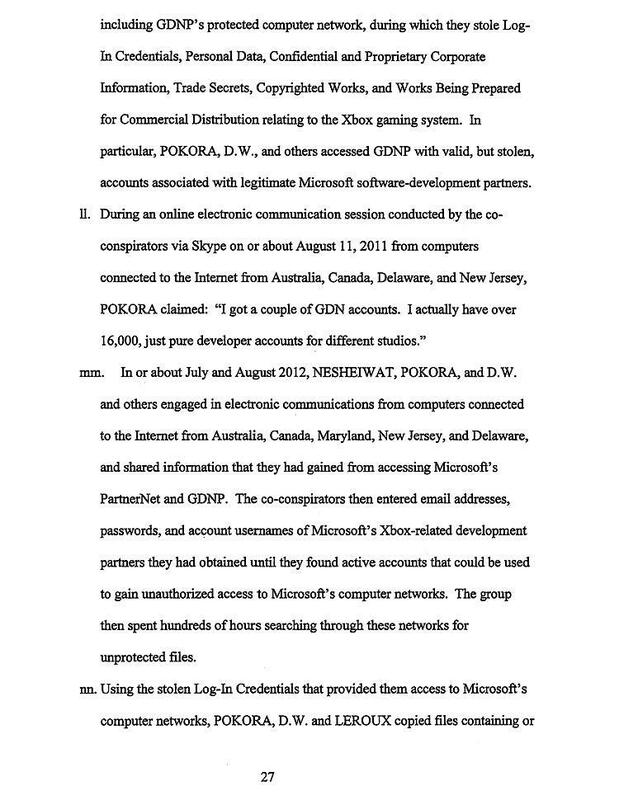 Two other alleged hackers--a North Carolina resident and an Australian teenager--have been identified as unindicted coconspirators in the scheme, which began in early-2011 and continued for more than two years. 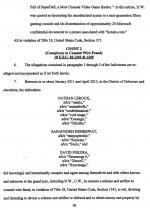 A federal grand jury last July returned a sealed indictment against Nathan Leroux, 19; Sanadodeh Nesheiwat, 28; and David Pokora, a Canadian resident. FBI agents last week arrested Leroux at his Wisconsin home and collared Nesheiwat (seen above) at his New Jersey residence. Pokora’s status could not be determined. It is unclear why FBI agents served arrest warrants eight months after the indictment was returned by a grand jury empaneled in U.S. District Court in Wilmington, Delaware. The Zombie Studios intrusion, prosecutors allege, allowed the hackers to then gain access to a U.S. Army server, from which “Apache Helicopter Pilot simulation software entitled ‘AH-64D Apache Simulator’” was taken. The Army had contracted with the Seattle-based Zombie to design the simulator software. 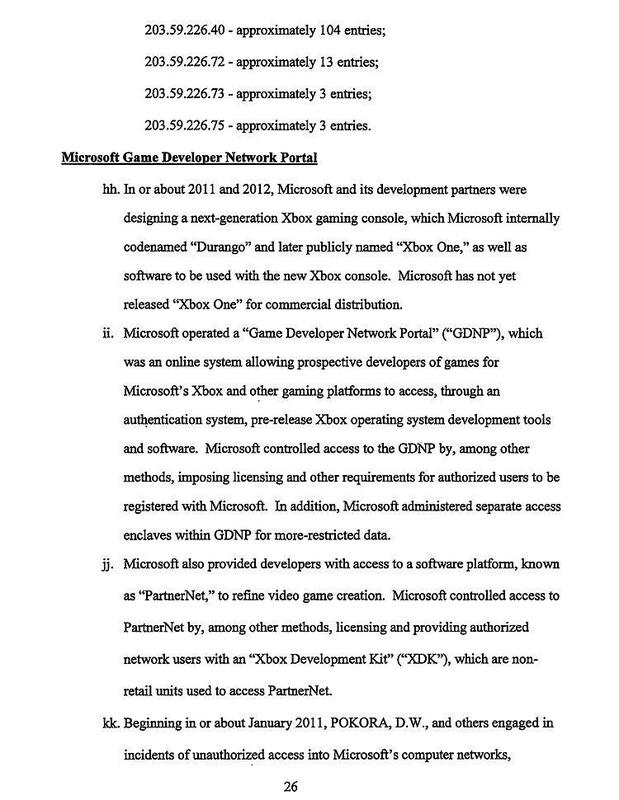 Investigators allege that the Microsoft hack resulted in the theft of “Log-In Credentials, Trade Secrets, and Intellectual Property relating to its Xbox gaming system.” At the time of the intrusions--which spanned 2011 and 2012--Microsoft was developing its Xbox One system, which was officially released in November 2013. 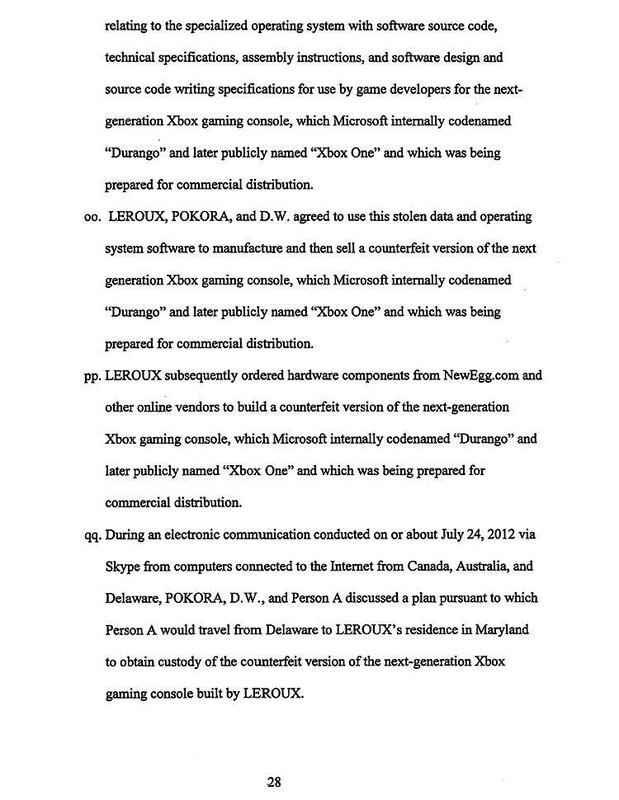 As a result of the Microsoft intrusions, Leroux (pictured at left) and the two coconspirators--armed with “internal design and technical specifications and pre-release operating system software code”--were able to build a “counterfeit, next-generation” Xbox console that was sold on eBay for about $5000, the indictment charges. 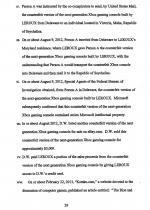 Leroux allegedly constructed a second counterfeit Xbox console with hardware components purchased from NewEgg.com. That system was destined for a purchaser in the Republic of Seychelles, a small island nation off the eastern coast of Africa. 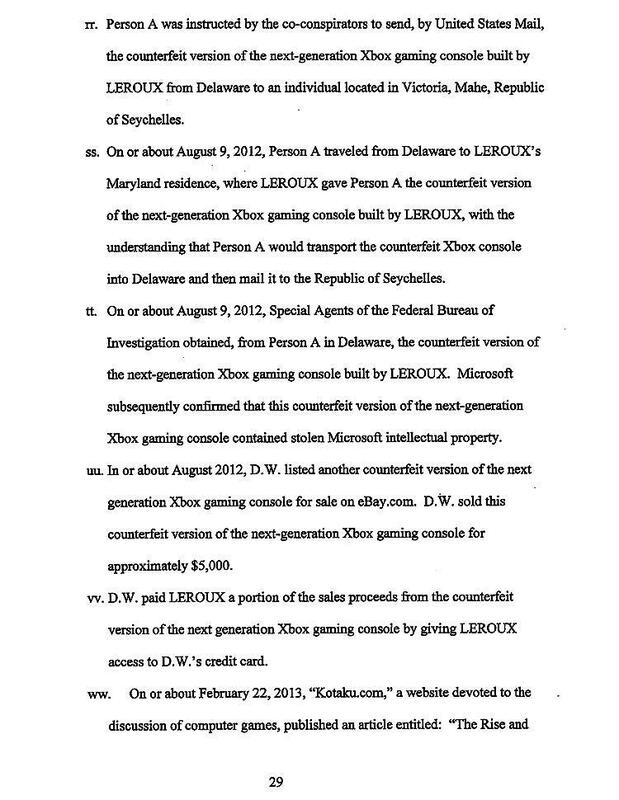 The counterfeit console, however, was intercepted by the FBI with the assistance of an individual identified in the indictment as “Person A,” a Delaware resident who was cooperating with agents. 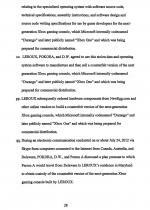 Leroux had given the console to “Person A,” who was supposed to mail it to the Republic of Seychelles. 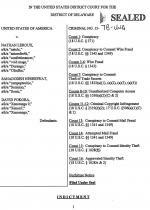 The indictment makes it clear that “Person A” had been involved with the hacking crew since mid-2011. 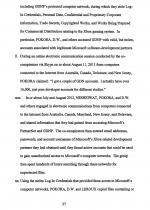 For example, “Person A” and others participated in a July 2011 Skype conversation during which Pokora sought assistance with the installation of encryption software on his hard drives. “I need your help. I’m going to get arrested,” Pokora said. Australian media have identified “D.W.” as Dylan Wheeler. The teen’s Perth home was raided last February, and he was subsequently charged in Children’s Court with an assortment of crimes. Wheeler is pictured above.